American Rabbinic group defends Dep. Foreign Min. Tzipi Hotovely following comments on American Jewry, decries 'witch hunt'. 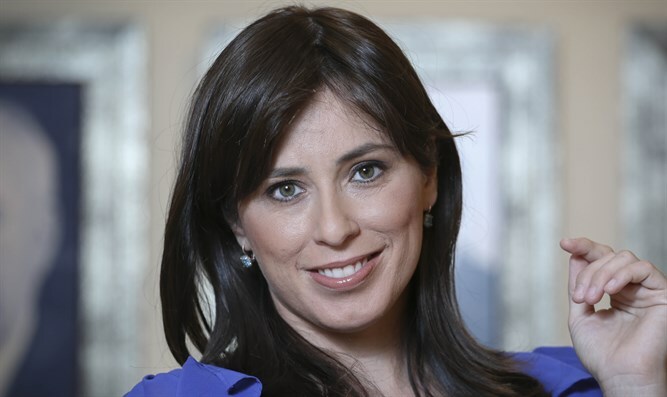 The Coalition for Jewish Values on Thursday expressed support for Deputy Foreign Minister Tzipi Hotovely (Likud), following a backlash against statements she made during an interview on i24 Wednesday about the relationship between Israel and the American Jewish community. In an interview with i24 discussing Princeton Hillel's abrupt withdrawal of an invitation to her to speak on campus, Hotovely said American Jews are living "convenient lives" while "not understanding the complexity of the region." The comments sparked an immediate backlash, drawing condemnation from the Reform and Conservative movements in the US, as well as from Prime Minister Binyamin Netanyahu and multiple opposition MKs. But the CJV came out in support in Hotovely Thursday, saying her statement was an accurate reflection of the relationship between Israel and American Jewry, adding that the ongoing attacks on the Deputy Foreign Minister were a "witch hunt". "What she said is uncontroversial," commented Rabbi Pesach Lerner, President of the CJV. "The typical Israeli is both more involved in Judaism and Jewish tradition, and faces daily challenges unknown to American Jews. Israelis must worry about incoming rockets and the terrorist who may be on the bus or in the shopping mall." "Words of truth are often difficult to accept," said Rabbi Steven Pruzansky, CJV East Coast Regional Vice President and Rabbi of Congregation Bnai Yeshurun in Teaneck, NJ. "She held up a mirror to much of American Jewry, and some of their self-appointed leaders do not like what they see. Instead of attacking the messenger, they should do some soul-searching, and bring their followers to the love and support of Israel that should be natural for every Jew." Rabbi Pruzansky added that Hotovely spoke previously to his congregation, was well received, and "I'd be delighted to have her again." In her remarks, Hotovely also said that Israel "is the home of all Jews from all streams. Everyone is welcome to come here to influence Israeli politics... sharing this beautiful, amazing place that is called Israel." Rabbi Lerner concluded, "she spoke the truth about the unfortunate situation with American Jewish college youth, the controversy regarding the Western Wall, and the rift between marginally-affiliated American Jews and Israel. This is much ado about nothing; liberal Jewish leaders should address what she said rather than call for a witch hunt to silence her." The Coalition for Jewish Values, the largest rabbinic public policy organization in America, articulates and advocates for public policy positions based upon traditional Jewish thought.